Hey boys and girls! If you're feeling hyped about the imminent release of Ryan Reynolds' Green Lantern movie this week why not pop down to Red Sun Comics & Collectables in High Chelmer Chelmsford for Green Lantern Day on Saturday the 18th of June 2011! 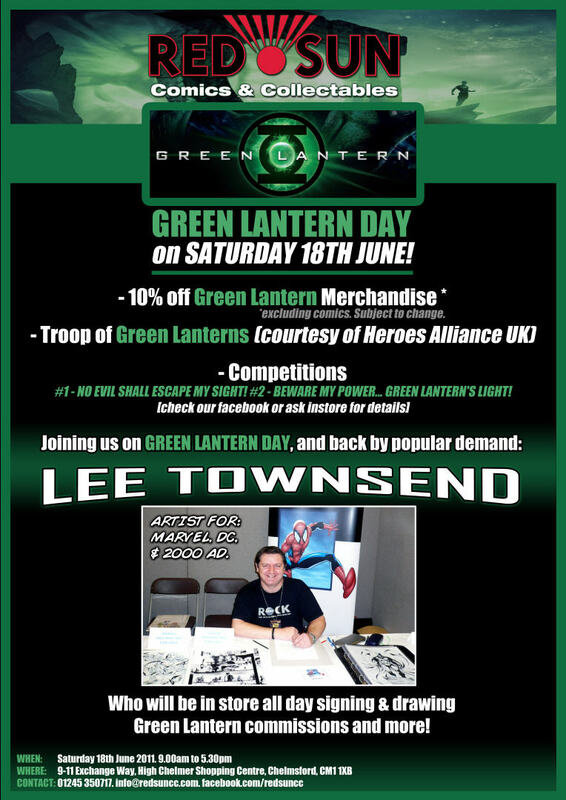 Red Sun will be offering discounts on Green Lantern themed stock, we'll also have the Heroes Alliance UK in store and in the shopping centre costumed up as members of the GL Corp and on top of that we'll also be holding competitions and have artist Lee Townsend signing and drawing in store!